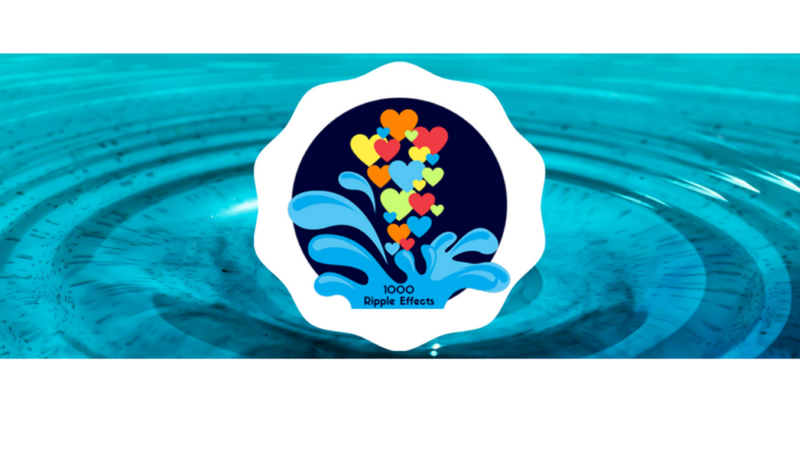 I started this 1000 Ripple Effects Book because of a Vision that burned so brightly inside me. There is a lot of passion, drive and determination keeping me going right now. I have never felt so strongly about something in my entire life as I do about this book. There is something about talking with people and asking them to be a part of this project that is magically awesome knowing that more and more ripple effects are being created across the world and children everywhere will be reading or listening to the heart touching stories from every author. Ever since I was 5 years old, I have held strong my vision of being a mum for children all over the world. Being there, guiding them, teaching them, educating them, believing in them. I have known since a very young age that this was and still is today, my life purpose. My life’s journey has taken me on many different paths and I have always returned to my purpose, doing what my heart desires and loves. The passion I have for kids is succeeding is huge. I have taught numerous people from all walks of life and impacted life long change as a result. Working in many different roles throughout life I have settled into my lifes’ passion and LOVE…… I AM committed to the commitment of those around me and to the success that shines as a result. I have had over twenty (20) Plus years of real, hands on, raw experience out in the field in all areas of Communication, Business, and Life Coaching. Areas of relevant experience has been acquired through working in industries such as manufacturing, hospitality, retail, direct sales, natural therapy, training and development, seminar logistics, debt collection, Mortgage Brokering, telecommunications, event coordinator, customer service, finance, investing, administration, telephone counseling, and management. To follow the deep inner knowing of my purpose and what I am here to do when there was no support. To follow the deep inner knowing of my purpose and what I am here to do. This is the difference I make in the world. I have many role models depending on what it is I want to achieve. I choose the role model based on their success in the field I want to succeed in. I make sure their values and their purpose are aligned with my own. When I am working on making the world a better place for those who live here. To strengthen the financial position of the community. To help others to build strong sustainable businesses that are scalable. Books reveal the Truth of the past. Books have knowledge, wisdom, experience, the book itself can not change the world, but the person reading the book can apply the knowledge and change the world. My Ultimate Goal is to create Sustainable, Generational Change For Children. For kids to know they are Loved and cared for. Both, the mountains because they are so peaceful. They have a calm but powerful energy about them. I feel at home when I am in the mountains. But the beach you can be so creative, imagination at play. Spicy/savoury food is always my fav. The window... I like to see the secenary and sometimes I can even see the sunset above the clouds...now that is awesome. Ice cream all the way! Deep seeded love for all people inspired by compassion. The message is all the same. I want every one in the world to know that We all speak the same message the only difference is the words we use.